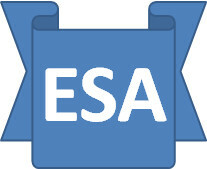 The ESA Saga: Job Brokers & the zero sum game. The Government refers to the private companies to whom it has outsourced certain services as “business partners”, which implies, but certainly does not guarantee, unanimity of purpose. This point cannot be better demonstrated by the current exposés of fraud amongst the various agencies whose task it is to place people in jobs. The risks that poorly constructed payment by results (PRB) schemes can produce at best cheating (falsifying outcomes), at worst precisely the opposite effect to the one required has been known since they were invented, so how can this Government be so absurdly naive? In the 60’s there was the delivery driver who was “incentivised” based on the daily mileage he covered, so he drove round the block all day and actually made fewer deliveries – not quite what was intended – higher cost, lower productivity. KPIs are much maligned, but if you can’t measure it, I’m afraid you cannot effectively manage it either and the secret obviously lies in the careful consideration of what to measure to produce the intended result – superficial, ill-thought out parameters will on produce an illusion of success. Although the civil service spends a fortune on training and development, it seems to be having little impact on the quality of management it is able to provide. Perhaps the budget for both should be scrapped to reduce the cuts being seen to welfare & health. When criticised over levels of pay and bonuses, it justifies its position based on needing the best managers to run a complex business, but there is no evidence either that this is what they have. I have little confidence in the “win-win” philosophy on the basis it contravenes Newton’s Third law and I have far more faith in the traditional “zero-sum” game – if you approach KPIs from this standpoint, it is far easier to avoid the classic mistakes made here. In fact, if indeed it does employ the best managers, why does the Government need to outsource at all? Having to fall back on the private sector is simply and admission of ineptitude and defeat.